The Black Mamba hovers alongside the border line where stunning beauty and immense power amalgamate forming something remarkable. 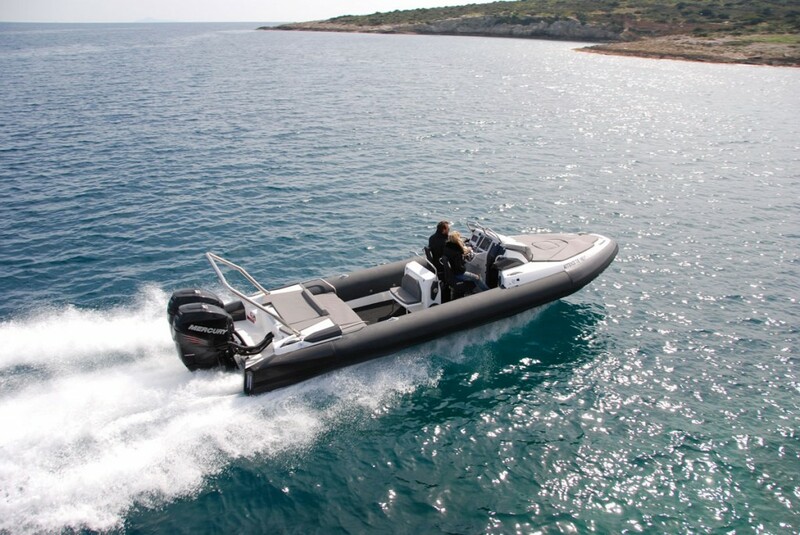 Black Mambas’ agile and hydrodynamically shaped hull as well as the aerodynamic deck gets their distinction from slick edges and stylish lines, which instantly show its extraordinary potential. An ocean of emotions and a work of genius for the enthusiast who cares to drive fast, very fast, so fast in fact, based on the outboard motor configuration, that Black Mambas are not for the faint hearted. Black Mamba is an exclusive product of limited production. 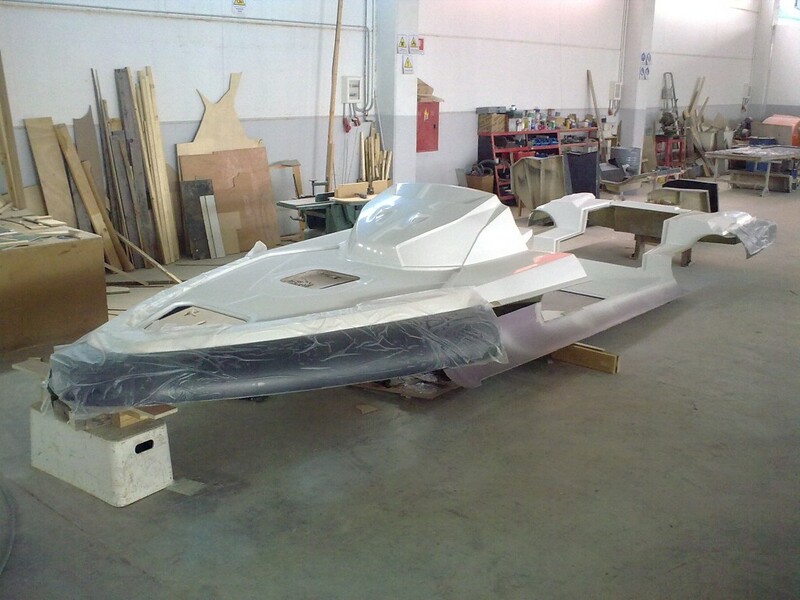 The company behind Black Mamba, MEKY, is specializing in naval R&D and light boat construction. For every project, MEKY coordinates an elite team of naval architects, designers, mechanics and a number of other professionals and technicians. 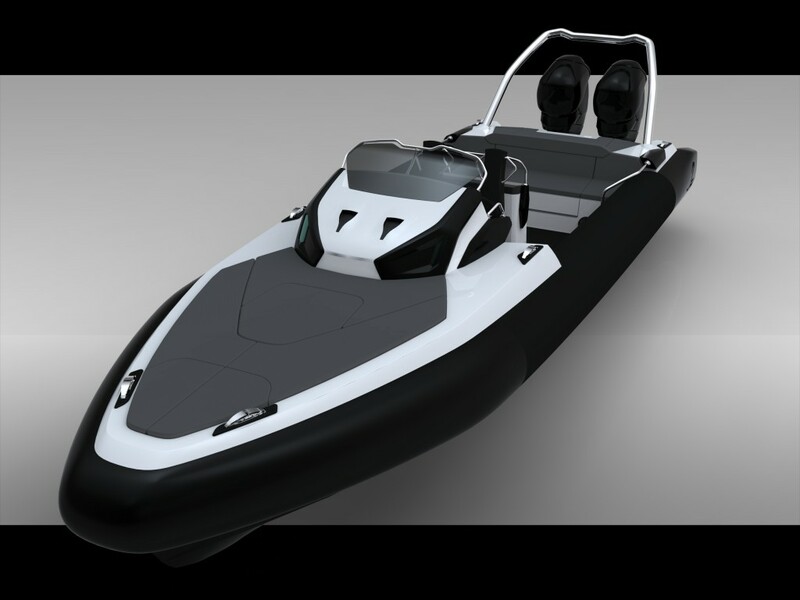 Black Mambas have been created to fill the void between a good round performance boat and a performance statement as the Black Mamba is. It is within our philosophy that the owner of a Black Mamba is a demanding individual pushing the boundaries of ‘standard’ to new limits daily, the Black Mamba (twin engine) limit therefore has been set so high that usually fear comes faster. Combining some of the world’s greatest talent, materials and techniques, Black Mambas are characterized by breathtaking performance and design, perfect ergonomics and low maintenance. MEKY is proud to present the Black Mamba, a new gemstone in the MEKY family. 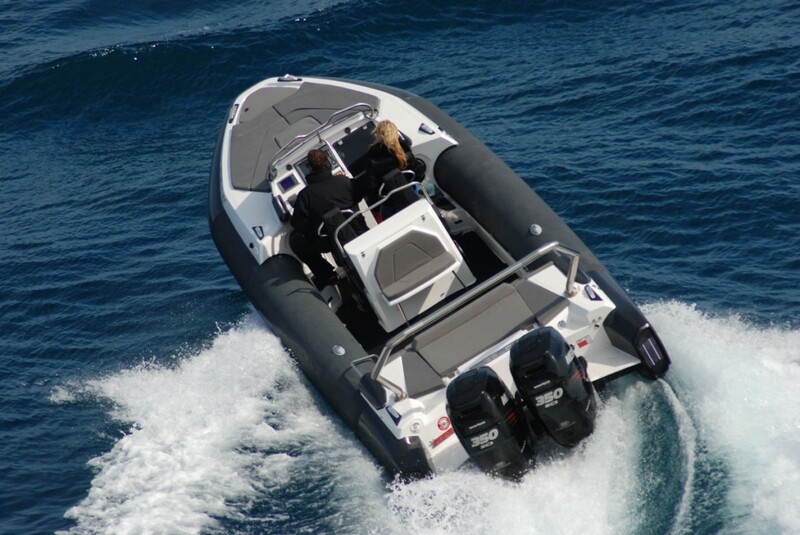 The Black Mamba features the outstanding driveability and performance of a racing RIB, enhanced by the pleasure of driving a mix of comfort, ergonomic perfection and styling excellence. 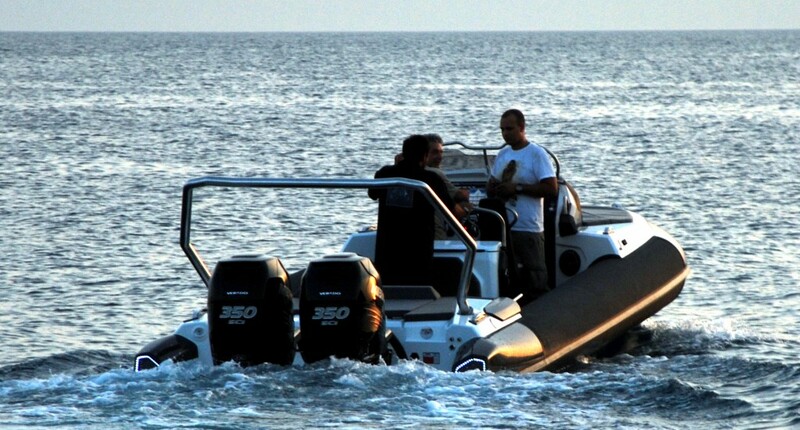 The Black Mamba RIB is a team project based on the extreme performance and hydrodynamic efficiency of the MEKY hull (Dr. Antonis Mantouvalos), fabricated in Greece by Olympic Ribs (Demetrios Karyofyllis) and designed in Vienna from VELOS (Nikolaos Raptis), in collaboration with Alessandro Salvagnin (Centro Stile Lamborghini). A Deep-V hullform has been used, pioneered by MEKY and Dr. A. Mantouvalos, to provide dry, stable and economic ride characteristics. 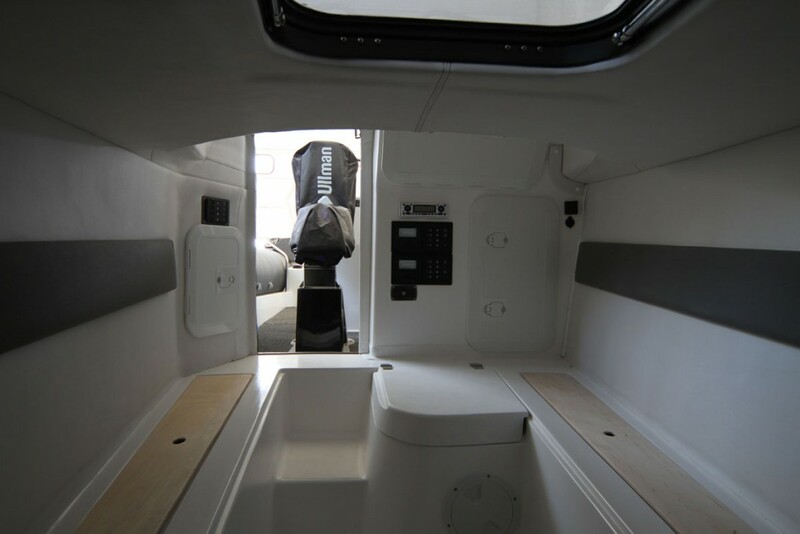 To achieve this a double stepped planing deep-V hull has been developed to minimise the wetted surface area, at high speed, therefore minimising the frictional resistance, and hence allowing the Black Mamba to operate at extreme speeds. Furthermore, the chine and spray rails featured have negative angles with respect to the horizontal plane and very sharp edges, minimising impact by gradually allowing the hull to be submerged under water upon re-entry. For the design and evaluation of the hullform many alternative numerical methods have been utilised; some analytical (i.e. Computational Fluid Dynamics CFD), some empirical (i.e. Savitsky Method), and full scale prototype testing, it is also noteworthy to mention that the hull has been used in boat races since 2009. The styling concept of the boat is to express the performance of the hull and the strength of the structure in a pure and effortlessly dynamic visual language. Homogeneity in volumes, shapes, surface language and graphics was VELOS design’s primal concern. 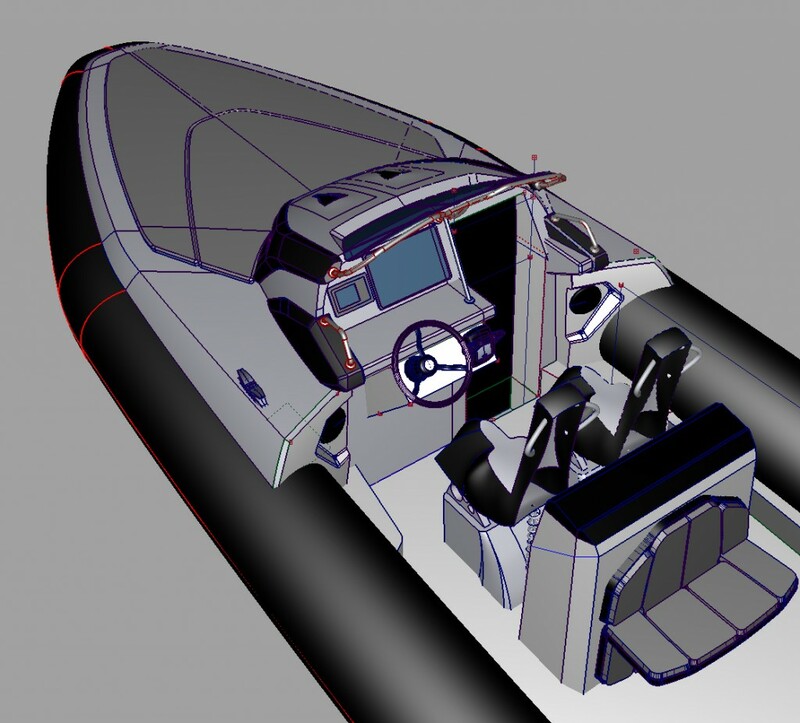 Black Mamba is a concept where every individual part of the boat is styled in absolute accordance with the others. 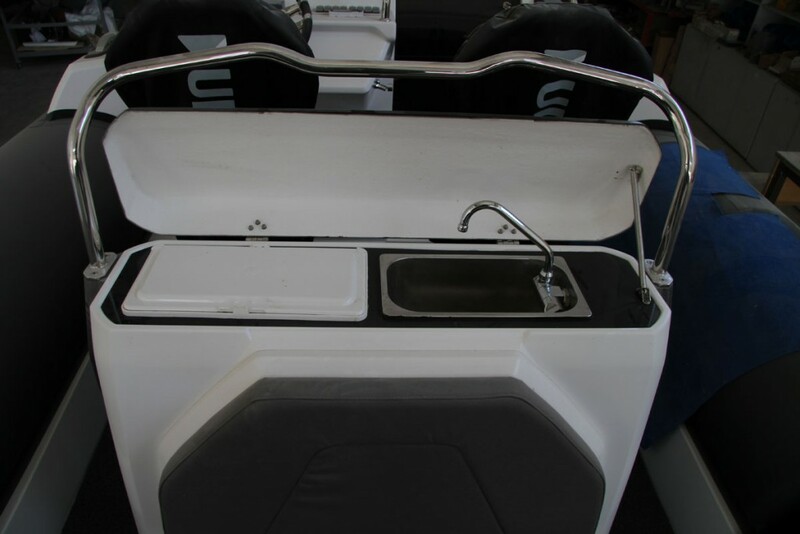 The console is both the styling and functional centroid of the boat. All the other components are designed and ‘built’ around it, creating a harmonious result that emits modernity and dynamism in order to deliver ‘visual justice’ to the exquisite performance of the boat. Despite the aggressive and extreme look of the vessel VELOS design took caution not to compromise the ergonomic aspects. Multiple features have been carefully studied to accommodate the user in a variety of functions and uses. 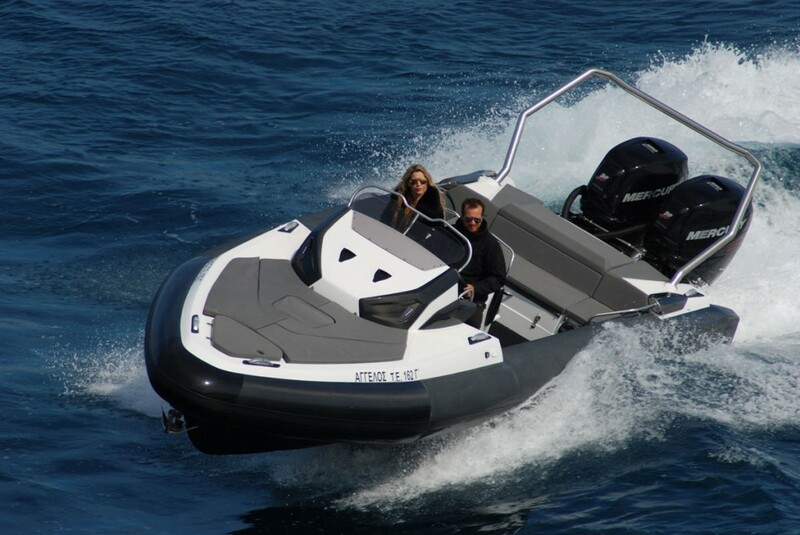 From extreme moments of high speed, to cruising of at anchor, the boat has elements and compartments assisting every on-board activity. 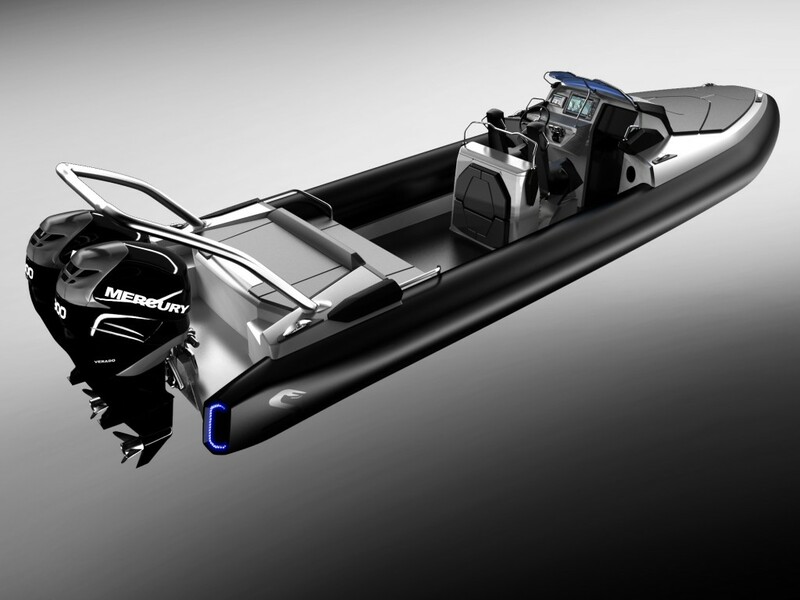 The result is a high quality visual and ergonomic satisfaction for the proud owner and everyone else involved with the vessel, something that we like to believe is the trademark of VELOS design and also what every exclusive product such as the Black Mamba deserves. Tube Material 4 / 0.55m diam. 2 x Ullman Biscaya Mitigation seats, with covers and extra covers. 6 x Nomen Folding Cleats. 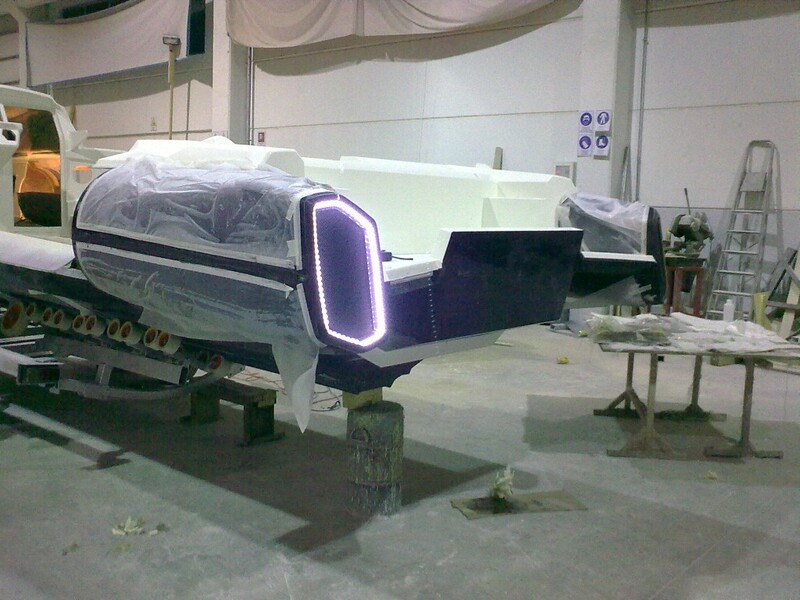 Elxis Trailer (2-axis, no breaks, marine submersible lights). S/S handles and S/S roll-bar. Vinyl-ester Fuel Tank 1 x approx. 600lt. Fresh Water Tank 1 x approx. 200lt. Interior and Exterior Pillows with Sunbrella fabrics. 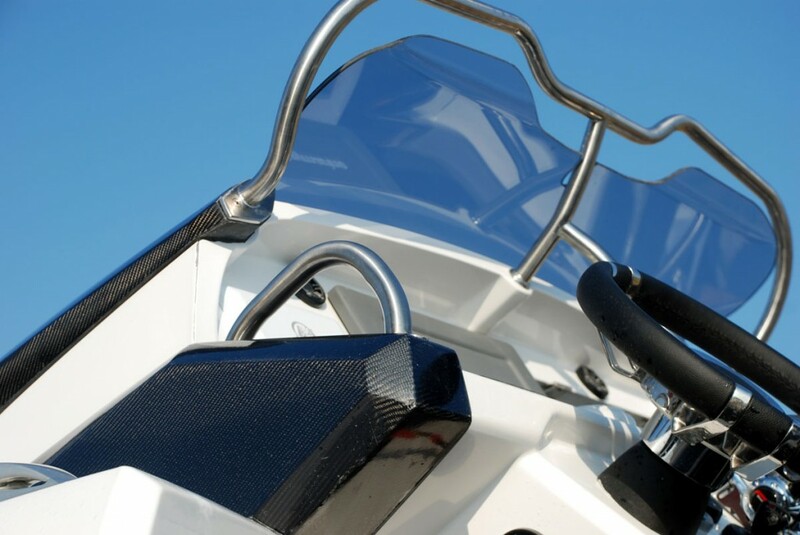 12V DC (500W Anchor winch (with chain measuring and remote control), Electric toilet, LED lights (exterior, interior and navigation), Shower pump, Isolator and emergency parallel, two batteries for service, two batteries for engines). TV / DVD / PS3 in Cabin and/or Deck, projector and retractable projector screen on the Deck only. Clarion CMD6, JL-Audio Amp., Sub., 4 x component speakers, Dynamat Extreme lining for ultimate noise and vibration obliteration (45 m2). Sun protection tents, custom upholstery with clients monogram, seal or logo. 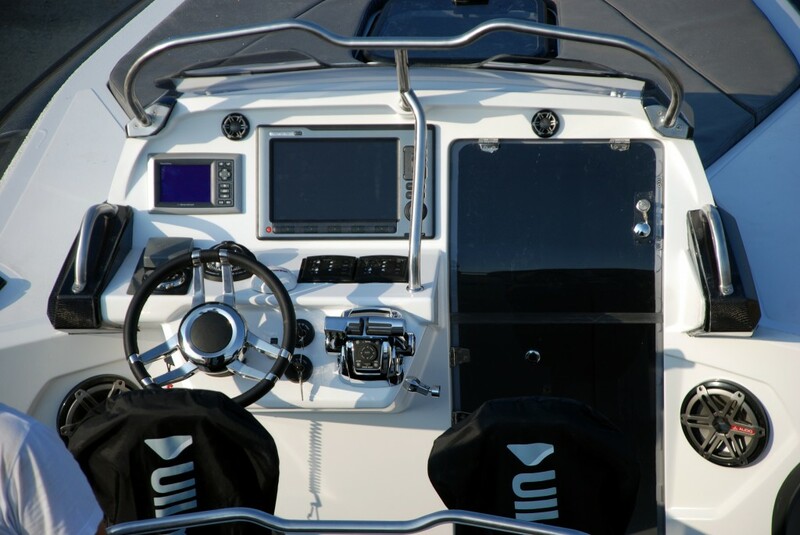 Raymarine E series GPS unit, VHF, echo sounder PDSM300, antenna, camera, underwater camera.